International Partnership for Human Rights (IPHR) and Kazakhstan International Bureau for Human Rights and Rule of Law (KIBHR) call on the EU to prominently raise free speech and torture cases in talks with Kazakhstan’s government. 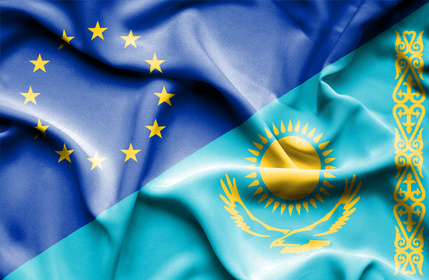 The two organizations have submitted briefing material detailing cases of concern to the EU ahead of its annual Human Rights Dialogue with Kazakhstan, which is set to take place in Astana today. They ask the EU to intervene in support of victims of free speech violations and torture at this meeting, as well as in other interactions with Kazakhstan’s government, with which it is about to enter into closer political and economic relations now that an enhanced Partnership and Cooperation Agreement has been negotiated and is expected to be signed soon. In an alarming trend, there has recently been a growing number of cases in Kazakhstan where journalists, activists and other individuals have been charged under broadly worded Criminal Code provisions that lend themselves to enforcement unduly restricting freedom of expression and other fundamental rights. These include, in particular, Criminal Code provisions prohibiting “inciting” social, inter-ethnic and other “discord”; “spreading false information”; and propagating “separatism”, which have all been criticized by international human rights bodies and NGOs for falling short of the requirements of international law. In many cases, criminal charges concern information posted or shared on social media, and the upsurge in these cases is taking place in a context in which the authorities appear to be seeking to step up control over such online resources. “The EU should insist that the Kazakhstani authorities stop criminally prosecuting individuals who are legitimately exercising their right to freedom of expression to voice opinions or share information that may not be to the liking of those in power”, said Brigitte Dufour, IPHR Director. She added: “Open debate – both off- and online — is a key element in any society aspiring to be a free and democratic one”. Well-known civil society activist Ermek Narymbaev and political activist Serikzhan Mambetalin have been held in detention since October on charges of “inciting inter-ethnic discord”. These charges were brought over Facebook posts where the two activists re-posted and commented on material published elsewhere. This month civil society activist Bolatbek Blyalov was also arrested on charges of “inciting discord” because of social media posts. He has, among others, publicly protested the launching of toxic Russian space rockets in Kazakhstan. A criminal case on “inciting inter-ethnic discord” opened against Muslim Union head Murat Telibekov was suspended in October but has not been closed. This case concerns a book he tried to publish two decades ago but that was never published. A trial is currently under way in the case of blogger Ermek Taychibekov, who has been charged with “inciting inter-ethnic discord” over blog posts where he argued that Kazakhstan should join Russia. A criminal case on “spreading false information” has been opened against human rights defender and NGO Coalition against Torture member Elena Semenova because of Facebook posts about torture allegations, which she documented during prison visits carried out in the framework of public monitoring mechanisms. Last week social media administrator Igor Sychev was sentenced to five years in prison on charges of propagating “separatism” because of a survey posted on the VKontakte page he manages. This survey, which he did not create and soon deleted, asked readers to express their opinion as to whether East Kazakhstan should join Russia. Although the authorities of Kazakhstan have taken some positive steps aimed at ending torture and ill-treatment in recent years, these practices continue and impunity is still the norm. Since the beginning of 2015, KIBHR and other members of the NGO Coalition against Torture in Kazakhstan have registered about 100 new cases of alleged use of torture and ill-treatment. In its November 2014 Concluding Observations, the UN Committee against Torture pointed out that less than 2% of torture complaints have led to prosecutions, and the situation is believed to have remained largely unchanged since then. “In order to end impunity in cases of torture, the EU should call on Kazakhstan to set up a special body that is fully independent of the police and tasked with promptly, thoroughly and impartially investigating all allegations of torture and ill-treatment“, said Roza Akylbekova, KIBHR Director and Coordinator of the Kazakhstani NGO Coalition against Torture. In spring 2015, prison colony guards in Eastern Kazakhstan reportedly beat Iskander Tyugelbaev so severely that he sustained a concussion, fell into a coma and required scull surgery. Since then he has had difficulties moving and has been unable to speak. While an investigation into abuse of power was opened, it was not conducted effectively and the case was closed for “lack of evidence of a crime”. Police detained Alexander Albrandt in the Kostanay region in August 2014 and reportedly tortured him, including by burning his face and brutally kicking and beating him. His allegations were not investigated thoroughly, impartially and independently; the alleged perpetrators have not been suspended from their work, let alone brought to justice. The briefing material prepared by IPHR and KIBHR also highlights broader concerns about the protection of freedom of expression, association and assembly, as well as the ban on torture that the EU is asked to address with Kazakhstan’s government. These include: the pattern of forced media closures; court rulings awarding huge damages in defamation lawsuits targeting media; arbitrary and indiscriminate blocking of websites; the adoption of new widely criticized NGO legislation that may be used to unduly restrict the activities of NGOs; and the continued enforcement of repressive legislation and practice on peaceful assemblies. As regards torture, shortcomings of the National Preventive Mechanism; the failure to consistently implement fundamental legal safeguards in detention; and the lack of implementation of UN treaty body decisions on individual cases are major issues of concern.